including Cobalt and Titanium Alloys. We are offering Nickel Alloy Wire to our client. Backed by our team of experienced and skilled professionals, we are able to put forwards a wide range of Wires. Being durable and having high tolerance property, these wires are widely used in number of industrial applications. These are available in varied sizes and dimensions. - Grades: Stainless Steel, High Nickel Alloy Duplex Steel. - Finish: Soft annealed - 1/4 hard, 1/2 hard, 3/4 hard, full hard (Matte or Bright Finish). We are counted among the well-reputed firm for providing Nickel Alloy Wires. This product is strictly checked on numerous measures of quality by quality professionals before delivering. 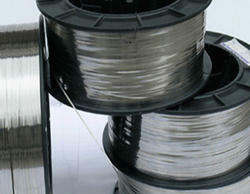 The company is a prominent Nickel Alloy Wires Manufacturer, Exporter, and Supplier, based in India. 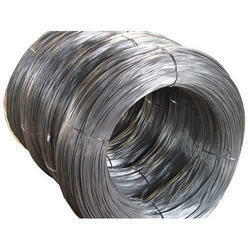 The Nickel Alloy Wire, offered by us, is known for its superb efficiency and outstanding quality. Used in diverse industrial applications, our Nickel Alloy Wire is highly demanded in national and international markets. We are actively affianced in providing an extensive series of Nickel Alloy Wires. Due to high demand, experts develop these products in varied specifications that meet on client’s demand.